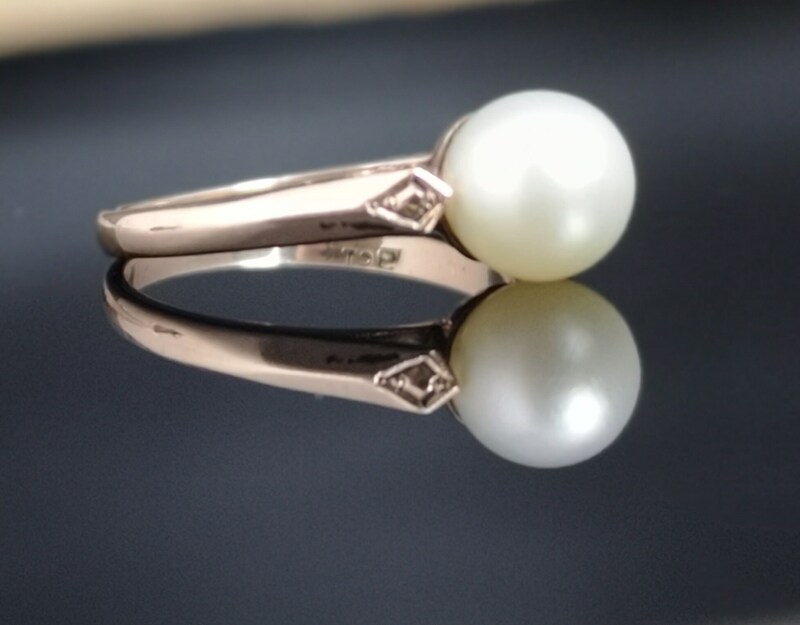 A pretty antique pearl solitaire ring in 9ct yellow gold. 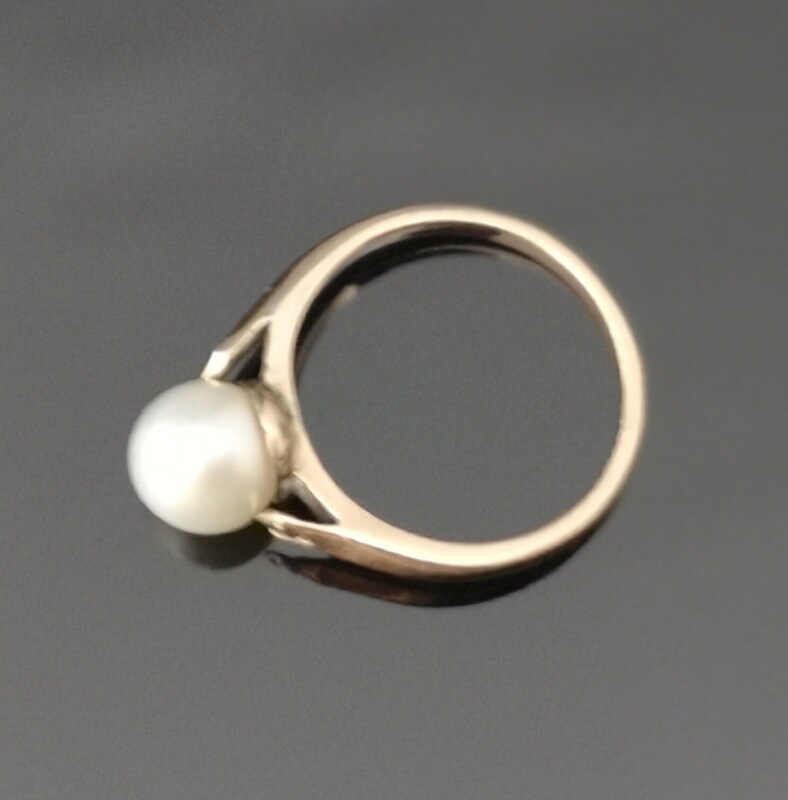 It has a smooth thick gold band with small diamond shaped engraved accent to each shoulder of the ring which frames the large pearl nicely. 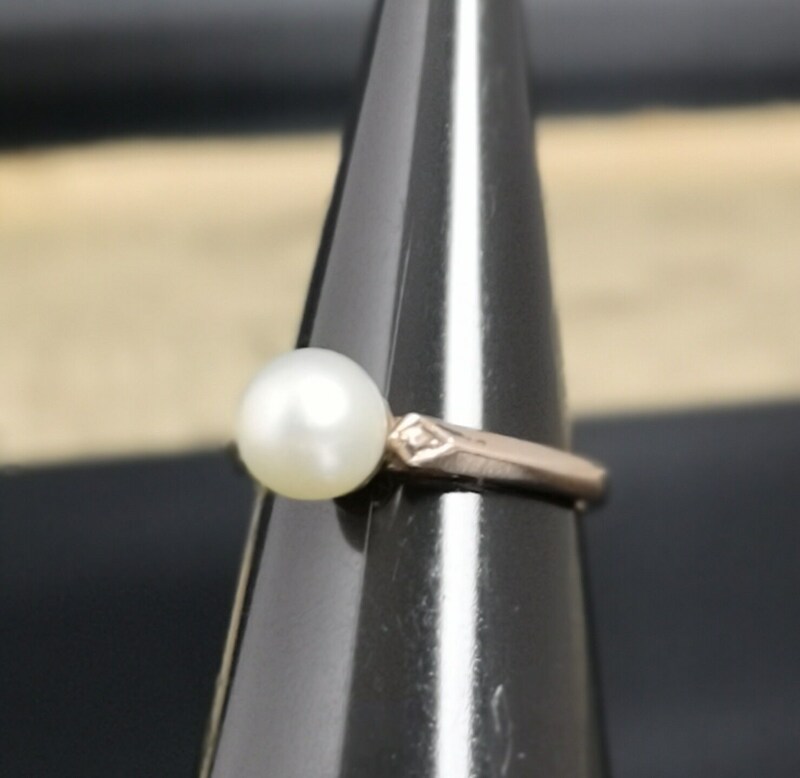 The pearl is nice and lustrous and a good even tone. 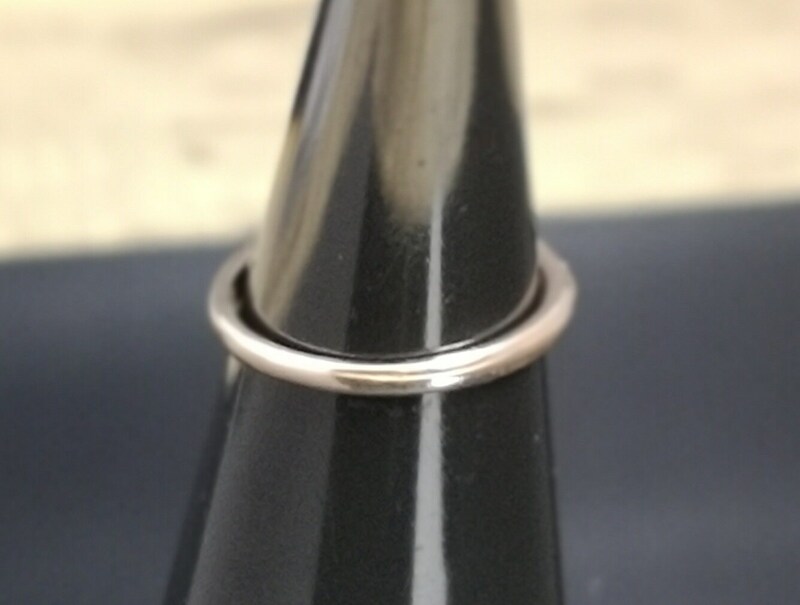 This ring is stamped on the inner band 9ct. 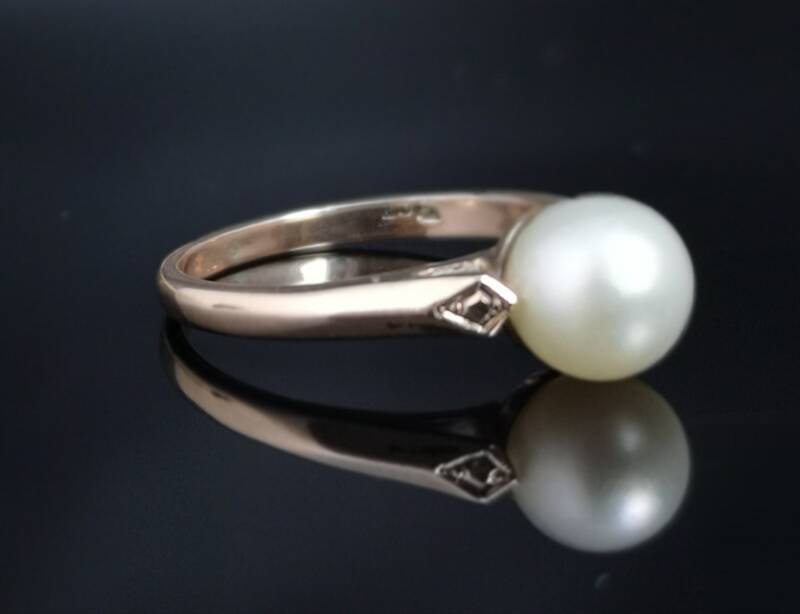 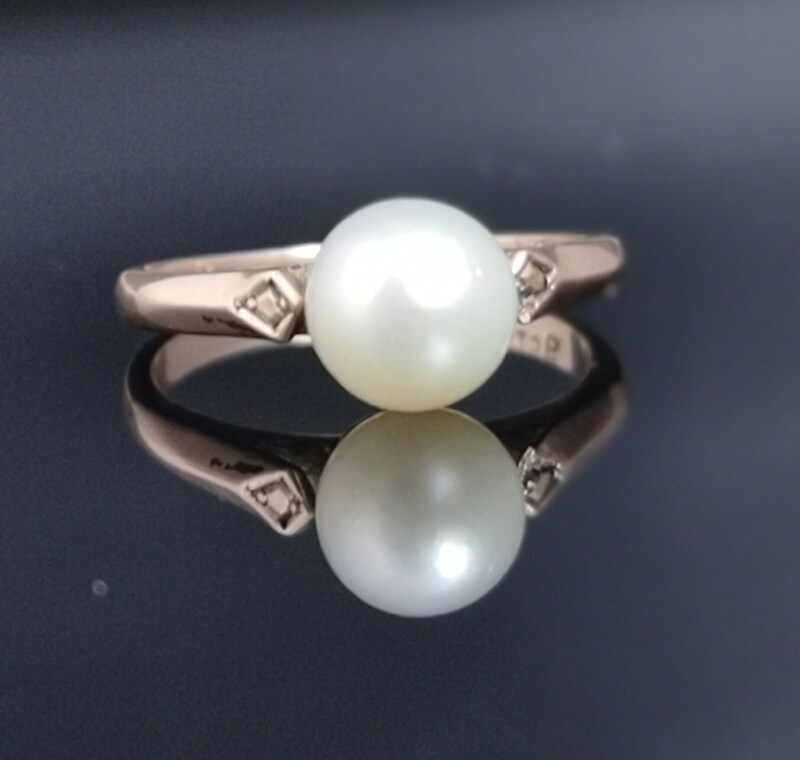 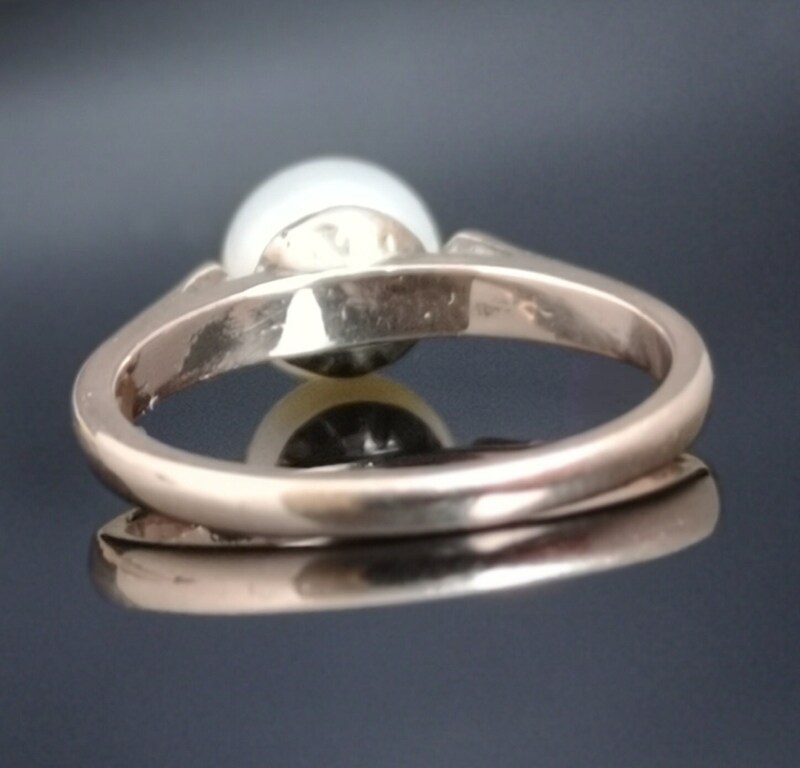 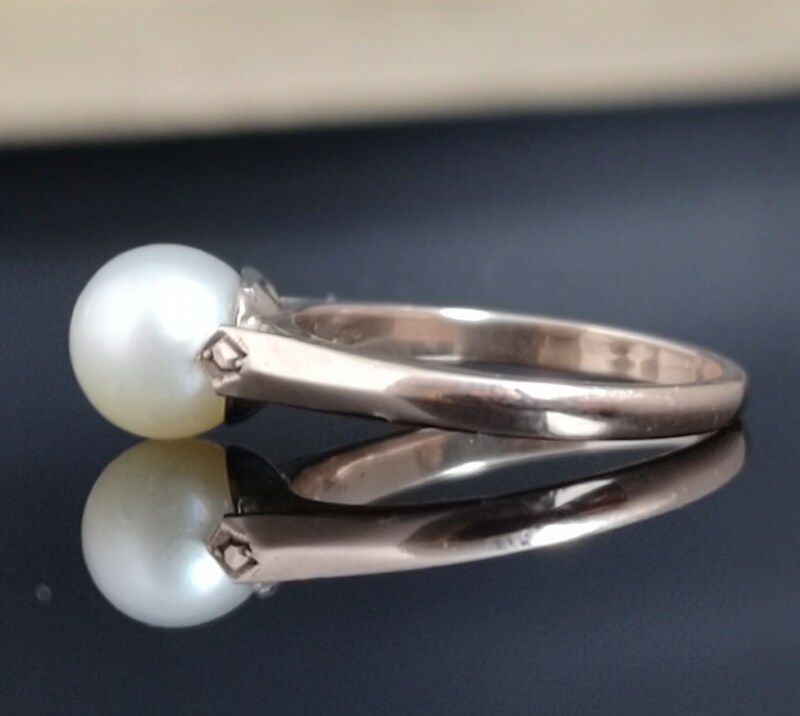 This antique pearl solitaire ring is in good condition overall and ready to be worn or gifted as is.